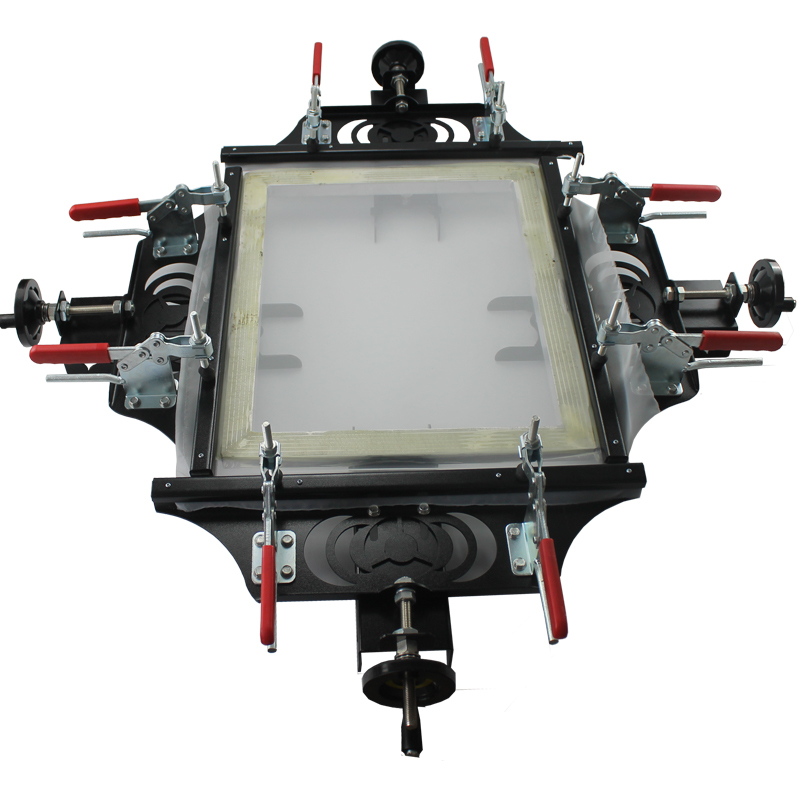 Screen stretching is the most important procedure to make screen. 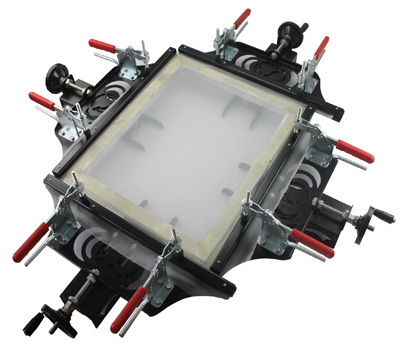 Stretching tool and technical define the quality of emulsion coating ,screen stretching and screen printing. 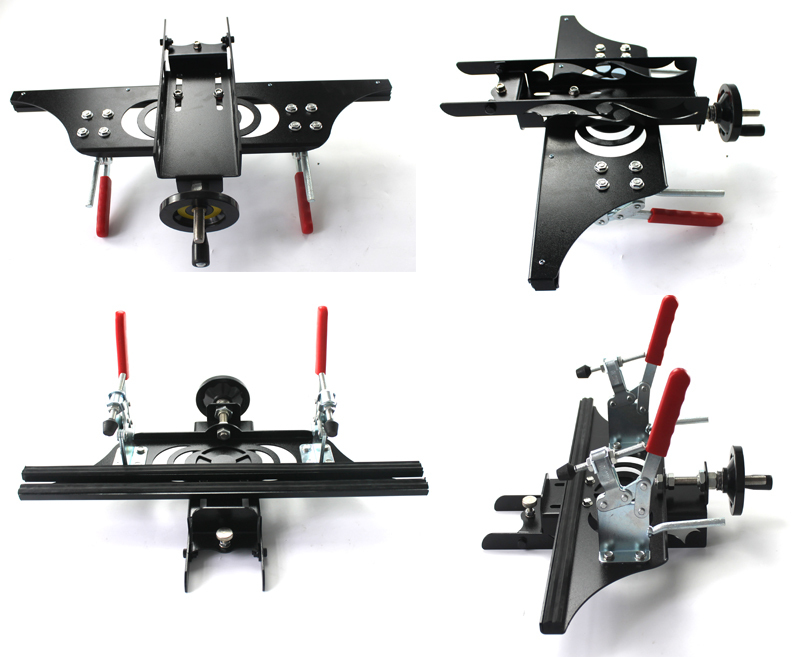 This new design stretcher is more easier to operate than the original stretcher, you only need to put the blank screen frame, smooth out the screen mesh, press the red handle and ratete the black handles. We also supply Youtube video as reference. Welcome to contact us. Cconsisted by four 24"(60cm) wide collets. 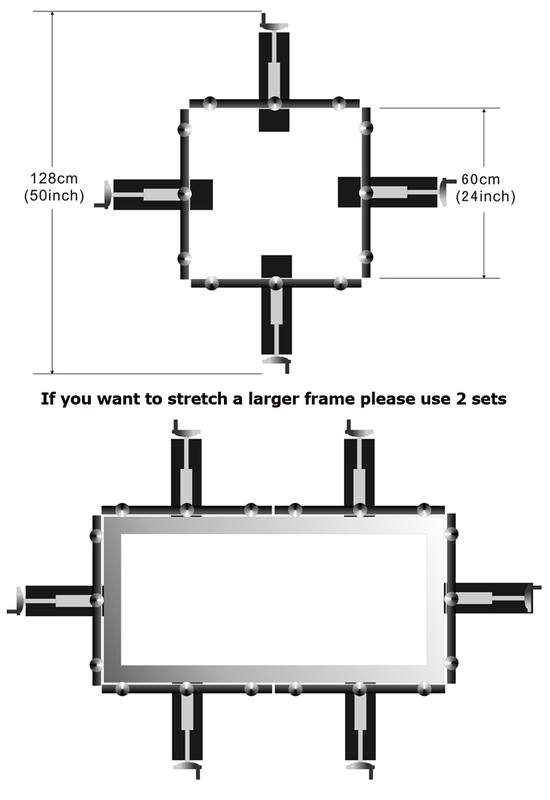 One single set can apply to any screen frames below 24"x24"(60x60cm). Suits for any frames below 2” thickness. Adjusting position bolt can meet your different requirement. 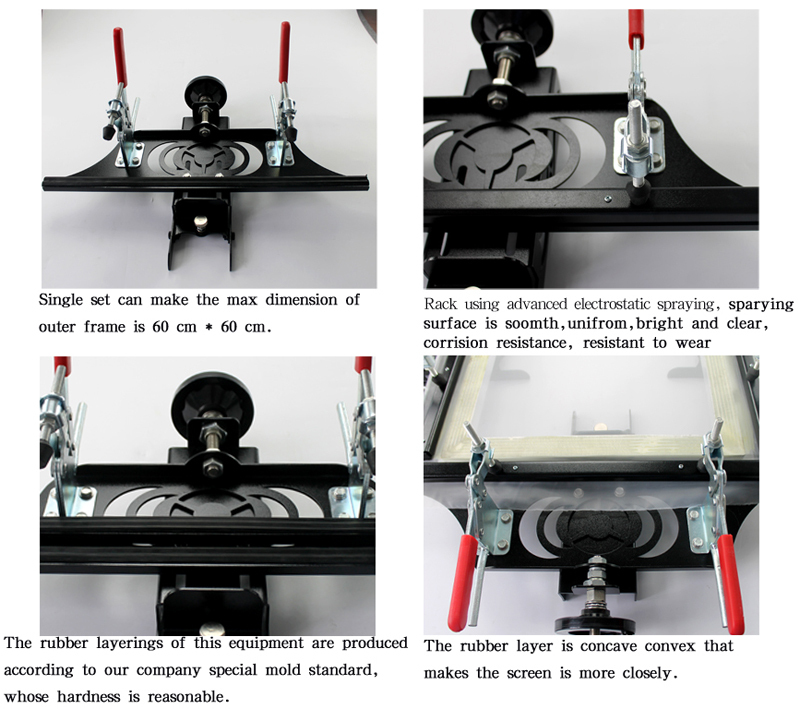 Wide locking bars for compressing screen are critical parts, directly influence the quality of stretching. We specially exploit concave and convex locking bars made of rubber with proper rigidity,24”width,no joints. Made of steel,advanced electrostatic spraying.